What Exactly is a Pillar Page Anyways? Pillar pages, topic cluster models, Google algorithm updates, SEO trends — quite frankly, it’s enough information to make even the most savviest of digital marketer’s head spin. I mean, once you finally get up to speed on all of your facts and best practices for search-engine optimization, Google goes and changes one thing and website ranks are plummeting, conversions dropping, organic reach is crashing — it’s a freaking apocalypse. But what can you do? According to recent research, last year Google was responsible for 79% of all global desktop search traffic. So unless you plan on generating heavy sales from Baidu, you’re going to have to play by the big boy’s rules. If you’re one of countless individuals out there desperately attempting to remain abreast on the most recent trends in search-engine optimization, then you’ve come to the right place. After all, you’re a smart cookie — and you realize that a strong SEO foundation is the gateway to success with your online business endeavors. No, but seriously, there have been a few major updates which have caused quite a significant shift in the way we practice SEO. So, if you have no idea what a topic cluster model is and you still need to figure out what the heck a pillar page is anyways — you’re in luck…because this article is here to give you the complete 411 on everything you need to know about the current SEO climate. What is the Topic Cluster Model in SEO? It enhances the user experience due to its user-friendly arrangement. It boosts search-engine optimization due to the fact that it’s the most relevant and effective method of SEO since Google’s Hummingbird update. The topic cluster model contains three main components (which we’ll delve into further detail on in the following sections). And since 57% of B2B marketers stated that SEO generates more leads than any other marketing initiative — we figured you’d might like to hear a thing or two about it. 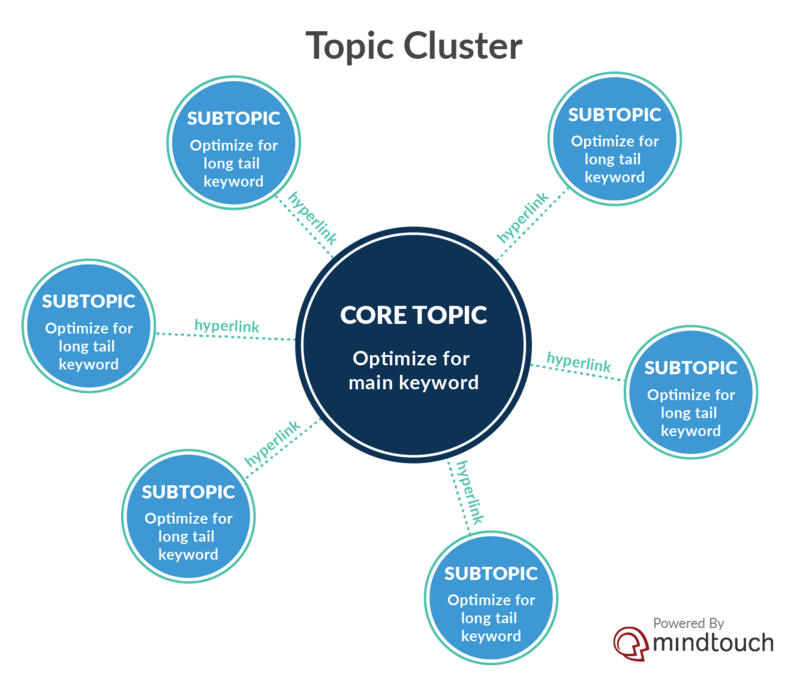 What Are Topic Clusters/Cluster Content? In the topic cluster model of SEO, topic clusters (also known as “cluster content”) are pieces of content that are essentially just a collection of interlinked sub-topics arranged around your main pillar content. This content serves to enhance the pillar content by expounding upon ideas briefly touched upon in your pillar content. In order to be effective, topic cluster content is interlinked to your pillar content and works to provide your website with greater search engine visibility by increasing your digital footprint, so to speak. Examples of good forms of pillar content are pieces such as eBooks, case studies, reports and guides. 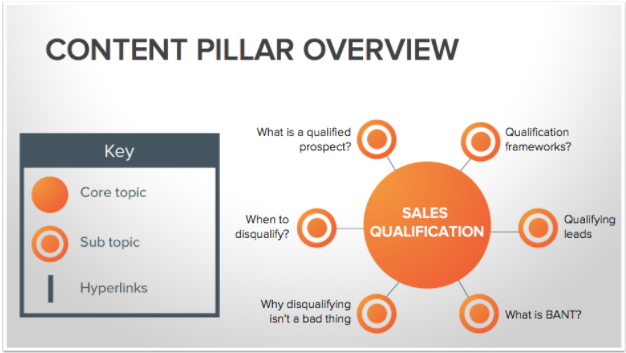 A pillar page is named as such due to the fact that it contains your pillar content. It is the foundation on which the topic cluster is built and links to the various pieces of cluster content created around it as sub-topics. For example, if you decided to choose “instagram marketing” as your pillar content, then you could include a blog-like, long-form piece on the subject matter or perhaps embed an email capture with an ebook on the subject matter as lead bait. Why the Topic Cluster Model? One of the changes that came along with Google’s Hummingbird search algorithm update was that it switched from focusing solely on keywords and moved towards being able to more effectively parse out phrases. It began to pay more attention to the “big picture” of your search queries, so to speak, by taking into account the meanings of and behind all of the words in the query. The key was now the meaning behind the words. For example when you speak or type the phrase “Chinese place near me” into Google –it now has the ability to understand that by “place”, you most likely mean a brick-and-mortar Chinese food restaurant. The end-goal of this update of course was to return pages which match the overall meaning, rather than just a few words. These pages have a higher likelihood of satisfying your request and the more satisfied you are, the happier Google is. In 2015 Google came out witih a RankBrain update — a “machine learning algorithm designed to understand the context of people’s search queries.” RankBrain was meant to be able to sort through your past searches, associate them with a common theme and pull “multiple keywords and phrases that are associated with the search query” to find the best result possible. This was one step further in the direction of focusing heavily on topics and overarching themes as opposed to individual keywords. Did you know that 64% of searches are four words or more? Individuals naturally tend to be more inclined towards a conversational approach when typing in search queries. Part of this can be attributed to the rise in voice search and voice-operated technologies and home devices such as Siri, Alexa, Amazon Echo and Google Assistant. As technology progresses, we instill more confidence in it and as a result, algorithms must continually adapt in order to meet our expectations and provide us with the best user-experience possible. 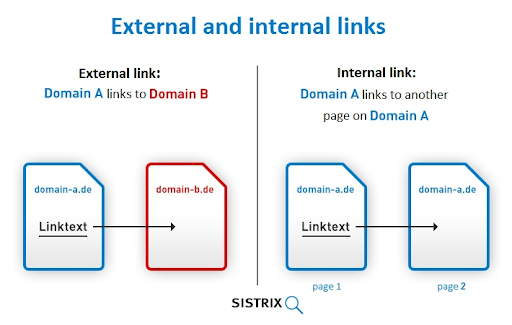 An effective internal linking strategy has proven to have a positive effect on organic rank. 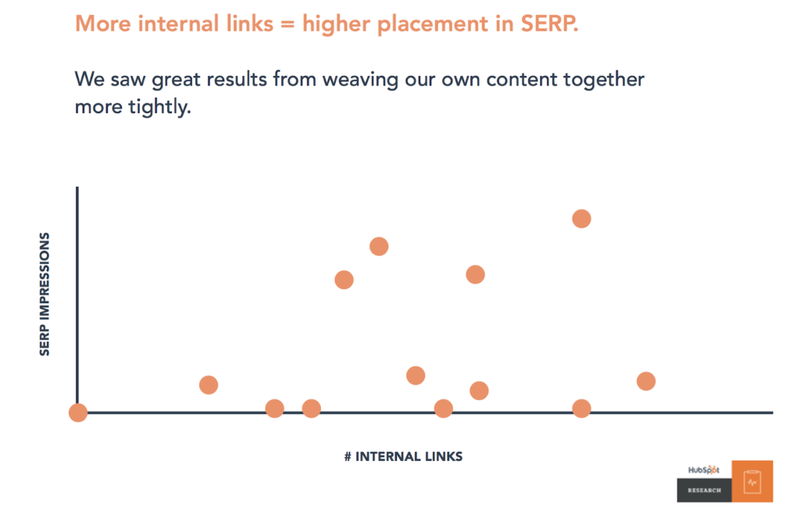 Several studies have been conducted on the effectiveness of internal linking since these most recent algorithm updates — one of which was conducted by the Hubspot team in 2016, who found that an increase in interlinking was correlated with both higher placement in the search engine results pages (SERPS) and a higher number of impressions. Recent data found that a whopping 61% of marketers say that “improving SEO and growing their organic presence” is their top inbound marketing priority and in 2018, the average firm is reasonably expected to allocate 41% of their marketing budget to digital strategies — a rate that’s anticipated to rapidly increase to 45% by 2020. One of my favorite sayings is “What would digital marketers do” — and that’s because the entire purpose of our job is to consistently come up with creative and effective tactics, strategies and hacks to get your business to prosper in front of the right online audience. Now, I’m not saying that every entrepreneur out there should drop everything they’re doing and focus on digital marketing strategies and SEO — but I am saying that it definitely wouldn’t hurt to take a digital marketing course or two — or at the very least — keep a well-informed digital marketer you trust on hand for tips and tricks to boost your business online. After all, if you’re going to be investing all of this money into your digital strategies and inbound marketing tactics — it’s only wise to make sure that you’re on the up and up with current trends so that you can ensure you’re making the best decisions for you and your business. If you enjoyed the article and found some useful bits of knowledge gems, swing on over for next week’s article where we’ll be breaking down everything you need to know about GDPR compliance and marketing! Oh — and if you have anything to add to the content — share your two cents! We love to hear awesome first-hand stories, tips and tricks from our readers!